While car thefts are declining across the country, the thefts of some parts and accessories are proving to be a lucrative business for professional thieves. In the Detroit area, it’s become a huge problem that’s costing consumers, insurance companies, car dealers and car rental companies. 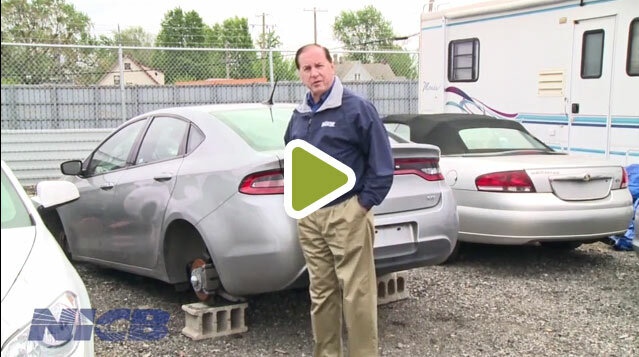 Organized crime rings are targeting newer vehicles parked in neighborhoods, in parking lots, even at dealer lots – anywhere they can quickly jack the car up, remove the wheels, and leave it sitting on blocks. Rental car companies have been particularly hard hit with hundreds of newer model cars targeted. In some cases, thieves break the window, pop the hood and disable the gear shift to put the car in neutral. They then use another vehicle to push the car away to a nearby empty garage or lot where they can safely strip it. 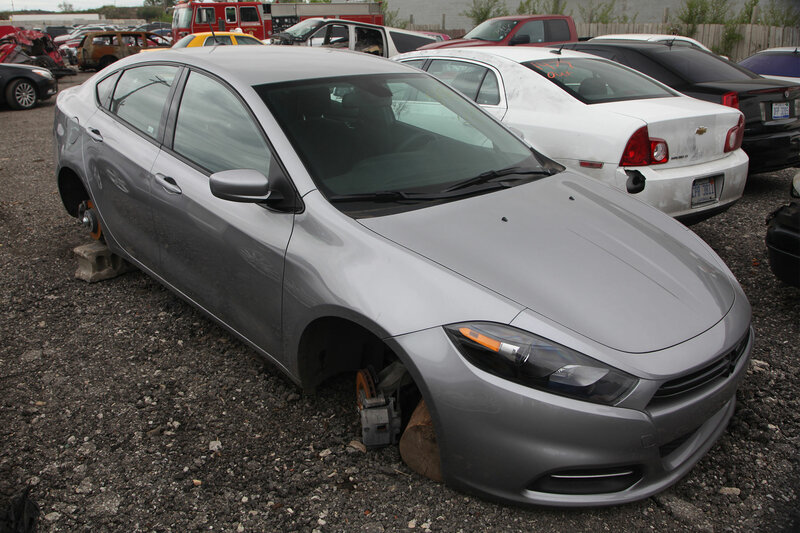 According to Michigan State Police Detective Lieutenant Ray Collins of the Southeast Auto Theft Team (SEATT), the person stealing the tires and rims may be paid $150 to $400 for their work but more money is made by the middle man who resells the stolen property to smaller tire dealers or collision repair shops for $700 to $900. The repair shop may then install those tires and rims on a car and bill an insurance company for $1,200 or $1,300. And an insurance company has likely already paid a claim for those same stolen tires and rims. Unless a thief is literally caught in the act, trying to prove a theft is frustrating for law enforcement. 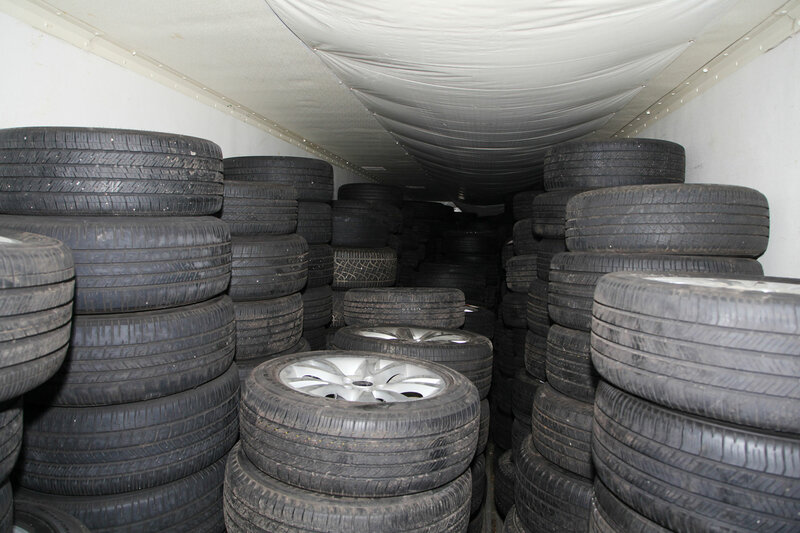 One lengthy investigation led officers to recover some 240 tires and rims from shops that were allegedly reselling them. 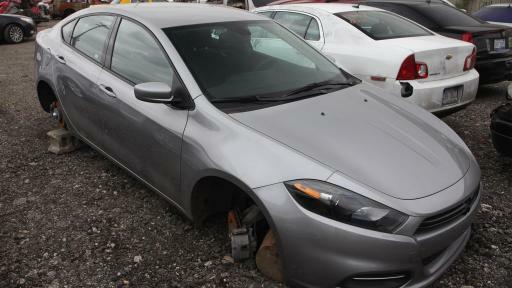 But tracking them back to the owners will be difficult since tires and rims are not marked with any identification records. “I encourage people to put some kind of identifying mark on their tires and rims,” said Collins. “If they report them stolen, we may be able to tie them back to the victims if we recover them.” Some manufacturers are working on technology to help track these parts when they are stolen, but there’s no immediate solution on the horizon. Anyone with information concerning these thefts can call the HEAT hotline at 1-800-242-HEAT. Information regarding these thefts or other insurance fraud or vehicle theft can also be reported anonymously by calling toll-free 800-TEL-NICB (800-835-6422), texting keyword “fraud” to TIP411 (847411) or submitting a form on our website. Or, download the NICB Fraud Tips app on your iPhone or Android device. About the National Insurance Crime Bureau: Head-quartered in Des Plaines, Ill., the NICB is the nation’s leading not-for-profit organization exclusively dedicated to preventing, detecting and defeating insurance fraud and vehicle theft through data analytics, investigations, training, legislative advocacy and public awareness. The NICB is supported by more than 1,100 property and casualty insurance companies and self-insured organizations. NICB member companies wrote $371 billion in insurance premiums in 2013, or more than 78 percent of the nation’s property/casualty insurance. That includes more than 93 percent ($168 billion) of the nation’s personal auto insurance. To learn more visit www.nicb.org. 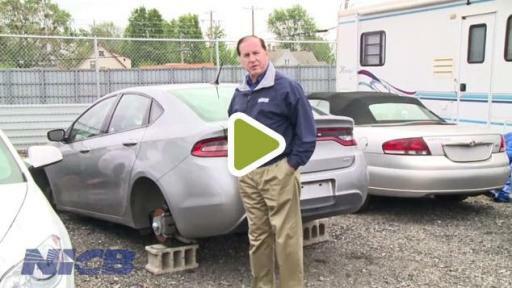 Cars up on blocks, missing their tires and rims, are a frequent sight in the Detroit area. 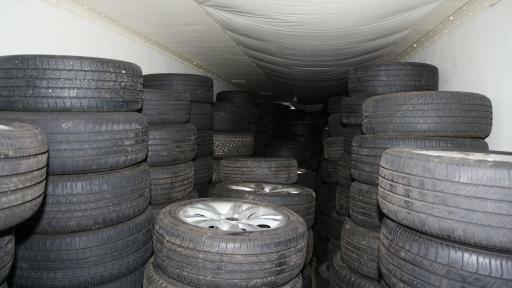 Some of the 240 tires and rims recovered by law enforcement following a lengthy theft investigation.